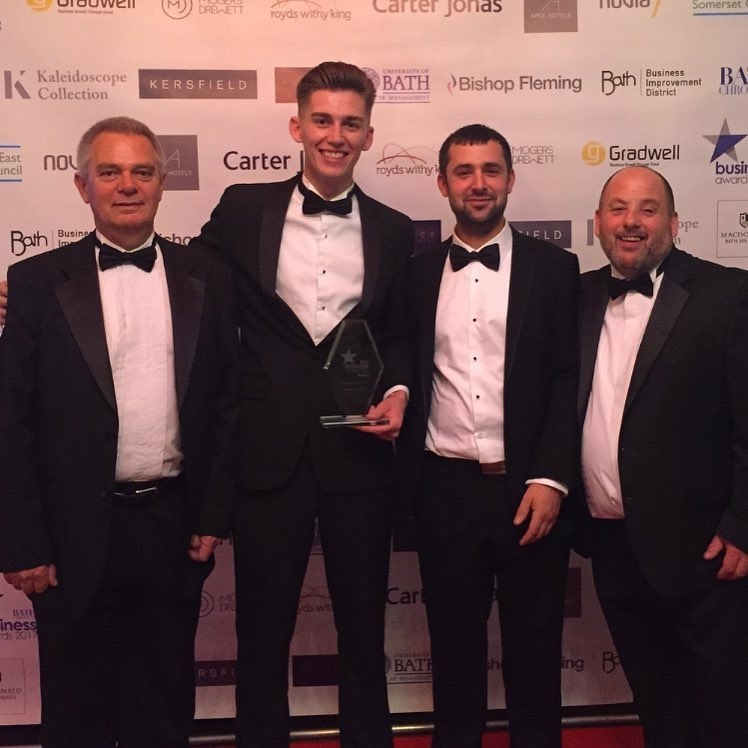 With our 100th year anniversary a few months away, Hawker Joinery are honoured to win the Bath Chronicle Small Business Award, sponsored by Apex City of Bath Hotel. On Thursday 28 October, the management team at Hawkers attended the Bath Chronicle Awards at The Bath Pavilion. It was a fantastic evening, and a nice chance to meet and network with other businesses from Bath. This award means a lot to the team at Hawker Joinery. We are proud that our hard work and efforts to grow the business and continue to provide a professional service to our customers has been recognised. If you have any questions, or would like to visit our workshop please contact 01225 858233.